Our gallery area needed a spiral staircase to be able to access the double entry doors. Clients come from New Jersey, Delaware, New York, Maryland, Virginia and of course Pennsylvania to browse railing design samples and railing design images for inspiration for their own exceptional project. The space was somewhat restricted and the spiral stair had to be designed accordingly to allow ease of access and to meet code requirements for no-slip surfaces on the stair treads and balcony. We custom fabricated masonry treads and floor panels. 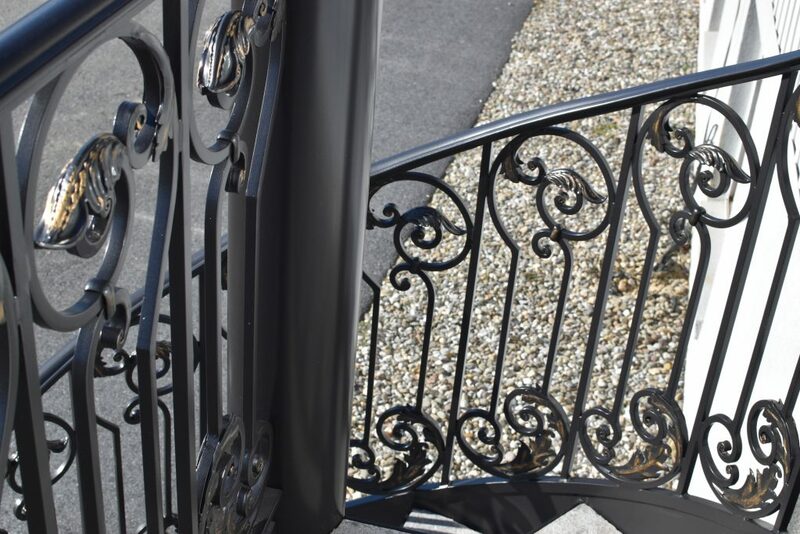 We custom designed the stair railing and balcony railing in aluminum. We hand-forged all the scroll-work, and the acanthus leaves. Powder-coated in dark bronze, and gold highlight was applied for contrast. 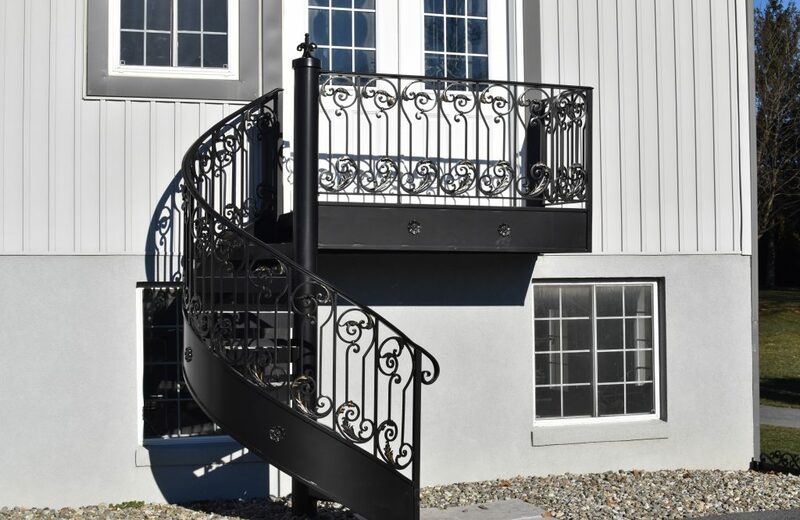 This staircase and railing design serve as a great welcoming statement to our Ironworks gallery and showcases our craftsmanship in metal.